1) Remove the plastic covering from the shim, and stick it firmly on the body of the WX7 just under the pad (key cushion) associated with the key to adjust. Reference: Owner's Manual, p.6 NOTE: Shims were originally included with the WX7, however, they are no longer an inventoried item at Yamaha. The normal playing Key of the WX7 is C. By changing the setting of Dip Switches #3 and #4, the WX7's Key can be changed Up to E flat or down to B flat, or even up by an entire octave. 1) Locate the Dip Switches, found under a cover on the upper back of the WX7, just above the Octave Transpose keys. 2) Use a small screwdriver to flip Dip Switch #3 and #4 to the desired setting (see chart below). NOTE: When holding the WX7 vertically (in playing position), the Dip Switches are in the 'Off' position when they are set to the left and in the 'On' position when they are set to the right. 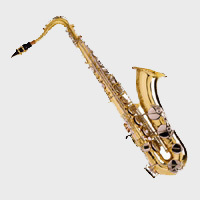 During normal use (without plugs), the WX7 behaves like a regular saxophone, meaning the air passes down the body of the instrument and out the lower Drain Hole. There are two types of Drain Plugs that were originally included with the WX7: 1) Partially blocking the Drain Hole (with a cross-shaped cross section). 1) Detach the mouthpiece by gently, but firmly sliding it out from the top of the WX7. 2) Insert the Drain plug into the slot as far as it will comfortably go. CAUTION: Take care not to touch the thin Lip Sensor extending from the instrument. This device measures subtle variations in lip pressure and can be easily bent or damaged. NOTE: Drain Plugs were originally included with the WX7, however, they are no longer an inventoried item at Yamaha. Reference: Owner's Manual, p.6. Click Here For Yamaha WX7 Operation Manual. Why buy your wind controller from Patchman Music? We play wind controllers. We sell wind controllers. We repair wind controllers. We design wind controllers and have consulted with all the major wind controller makers in developing their products. We KNOW wind controllers. Wind controller expert Matt Traum personally checks, and calibrates EVERY wind controller we sell before it ships. This is CRITICAL as just about every Yamaha WX Series Controller that comes from the factory is not calibrated correctly. This one extra step that we take is highly valuable to our customers. Patchman Music is a factory authorized Yamaha Service Center specializing in wind controllers! Patchman Music wind controller customers always get TOP PRIORITY should a repair be needed. Personal and highly knowledgeable after-sale tech support. As always, if you buy your wind controller from Patchman Music, you will be supported after the sale. You will not find another dealer who can answer your wind controller questions the way we can. Guaranteed. The importance of easily available after-sale tech support cannot be over emphasized in the wind controller world. Convenient and personal phone support. Yes we post our phone number. Yes we answer our phones. Call Matt Traum at 440-740-1288 to personally talk wind controllers with him. No runarounds or hiding from our customers here. In addition to offering products separately, we also offer a wide range of wind controller bundled packages to fit any situation and budget. Click Here For Sound Sample #1 From PatchmanMusic.com. Sample of Available Soundbanks (This Bank Is From The Yamaha VL70mV1). VL70-m Volume 1 Audio Demo (1.8 megs). This demo contains 14 segments recorded direct from the VL70-m played with a MIDI wind controller. 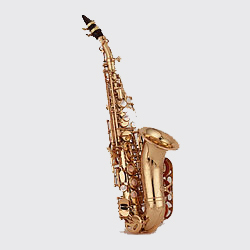 The sounds you hear in the demo are as follows: 01 *Trumpet, 03 *NewTrpt, 06 *Trmbone, 09 *Tuba, 10 *Soprano, 18 *Clarint, 19 *Flute, 20 *VoxFlt., 28 *Toots!, 29 *Harmnca, 42 *SteelGt, 46 *Funk Bs, 54 *Violin, and 56 *EWI Arp. Click Here For Sound Sample #2 From PatchmanMusic.com. Sample of Available Soundbanks (This Bank Is From The Yamaha VL70mV1). VL70-m Volume 2 Audio Demo (1.8 megs) Click on the speaker to download a high quality MP3 audio demo of this soundbank. This demo contains 19 segments recorded direct from the VL70-m played with a MIDI wind controller. The sounds you hear in the demo are as follows: 01 *ClassTpt, 04 *Horn-, 06 *JazzTn2, 07 *BariSax, 09 *Piccolo, 11 *JzFlute, 13 *Flutofn, 17 *Breezer, 25 *Beat It, 27 *Matrix!, 37 * Sqr., 40 *Moog Ld, 46 *SteelDr, 48 *PassGtr, 50 *ChorsGtr, 52 *DistGtr, 55 *WahBass, 59 *BorgHrn, and 60 *Brekord.